If you're a regular around here, hopefully you've picked up on the fact that I love the outdoors, and exploring small towns in my region, but I still feel like I could be doing more to champion the North. We're known for cups of tea, Yorkshire puddings, farming, factories, and some of the best accents going. I'm making it my duty to see and share more of my part of the world; to tell you what's up. I'll start the series with the place I have known and loved the longest: Kendal, Cumbria. For a big chunk of my life, my parents owned a house in the town, with the dream of one day moving for good, so I feel like I was almost brought up here. I have fond memories of buying mini bags of Butterkist popcorn and jelly monsters from the sweet stall on the outdoor market, of inspecting homemade mint jelly and local honey on the indoor. I remember spotting trout in the river, and crying when I ordered a teacake for breakfast in Bumble's tearoom. I had expected a sweet, marshmallow, Tunnock's teacake, not a bit of fruity bread! Whilst the town is relatively small and quaint, it embraces modern changes and has some of the best shopping in The Lakes. 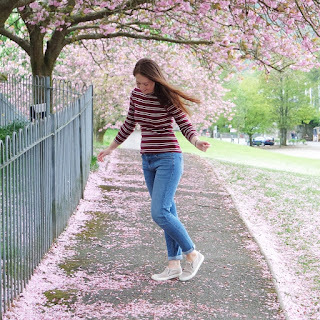 It seems a bit naughty to talk about shops when Kendal is based in an area of breathtaking countryside, but it's handy to know that you can reward yourself with retail therapy after tackling a tough old trek. Clothes shops range from posh little boutiques to a big Topshop, and the streets are peppered with independent eateries and craft shops, so there's always something to fill your bag, tummy, and wardrobe. If you do fancy broadening your horizons rather than narrowing your purse, head to Kendal Museum to see their famous dodo, take in a show at the Brewery Arts Centre, or drive a little out of town to Sizergh Castle and Sizergh Low Barn for woodland walks and farm shop treats. Drive twenty minutes over to Milnthorpe and you'll get to Beetham Nurseries, a garden centre with homewares, a restaurant, and a rather excellent selection of succulents. Nearby you'll find the Lakeland Wildlife Oasis, a small but perfectly formed zoo with hands-on experiences and plenty of education- great for little ones, and rainy days! - when in Kendal, you must try Kendal mint cake! Available in grocery and corner shops. Have you been to Kendal? This post makes me happy, I love York so much. My Mum's side of the family is from there, she was born in Fridaythorpe and my Grandma lived in Skipton, it was always my favourite place to visit and explore. 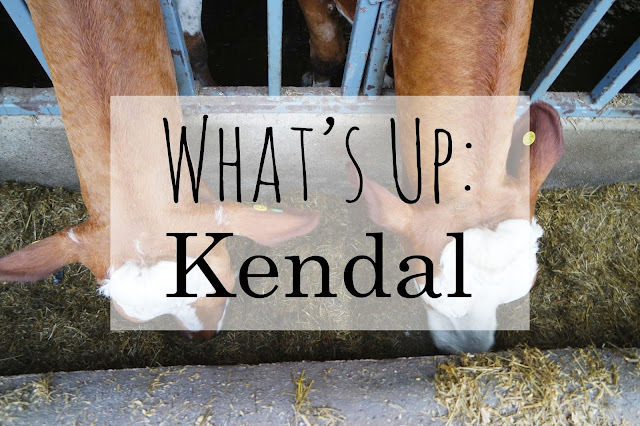 I've been to Kendal a few times but not for several years, I'd love to go back!